The winner of this week’s Figure It Out is none other than PGPoA’s own art director, Mecha-Shiva! Of the thirteen entries I received this week, eleven correctly identified the figure as the Forbidden from ArtFX’s Final Fantasy VIII toy line. if you enjoy taking photos of toys and would like to submit your photos as potential Pics of the Day, join the PGPoA POTD Flickr group. I’ve been able to pull most of my pics from there since I started it, but there are only 35 members, so I’d love some more variety. Don’t forget to check out the PGPoA Store. I’ve got some MOC stuff in there, and I’m looking to add some more stuff soon. I’ll say this for the bloggers at ActionFigureInsider, they’re not afraid to express their opinions (though they can be a bit sensitive when others do so). JJJason has a post up, “What the Hell Kind of Masters of the Universe Fan Are You?,” where he extols the virtues of the early MOTU minicomics and the “sword and sorcery” conception of the MOTUniverse–an opinion I suspect is shared by many of you. This is a topic I’ve touched on a few times recently, and if you scroll down the post you’ll see my own comment on it. 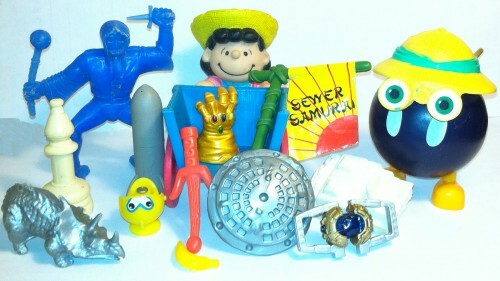 Basically, I’ve come to embrace the goofier and weirder aspects of MOTU since the advent of MOTUC, because I think that’s a big part of what makes it so unique. The Four Horsemen are looking for a few good sculptors and painters. Customizers, now’s your chance to fulfill your dream. Weekly Round Up: This week on PGPoA, I posted a guest review of Megator by Doc Thomas, reviewed Fearless Photog, interviewed Phil Reed of Battlegrip.com, examined the bios of Clawful and Queen Marlena, answered some fan mail about the identity of the new Marvel Legends sculptors, discussed another big new MOTUC QC issue, and posted a how-to article from amazing toy photographer Ed Speir. FIO here, Pics of the Day here. Can people not see this post? Or is it really that boring? Naw, just kidding. Busy weekend, plut got Fisto and Shadow Weaver in the mail Saturday, so my little bit of free time has been spent fawning over them! I am shocked (in a good way) that you got all those correct entires for FIO. I thought I was the only one who still remembered and appreciated that great FFVIII toyline! FInally, glad you are pursuing the non-toy blog and wish you all the luck in the world with it! Glad to hear about Poe Unpegged. I've always found your opinions to be interesting and worth reading. I really enjoyed the Christmas time coverage of Die Hard that you reposted on here. I think everyone's being quiet on most web sites. The holiday last week usually doesn't really hit people in paperwork until the weekend following the first weekend. At least around here. I am too, I really enjoy reading all your stuff Poe! I think we are just stunned by the opportunity to work with the Horsemen. People are busy polishing their portfolios. They are so shameless (IMHO), I barely venture there anymore…they can have someone else's pageviews. To end on a positive note, Poe, I really do appreciate your site and role in the collector community. I'm going to bookmark Unpegged and check it out. Your efforts have definitely earned a fair shake from this reader.